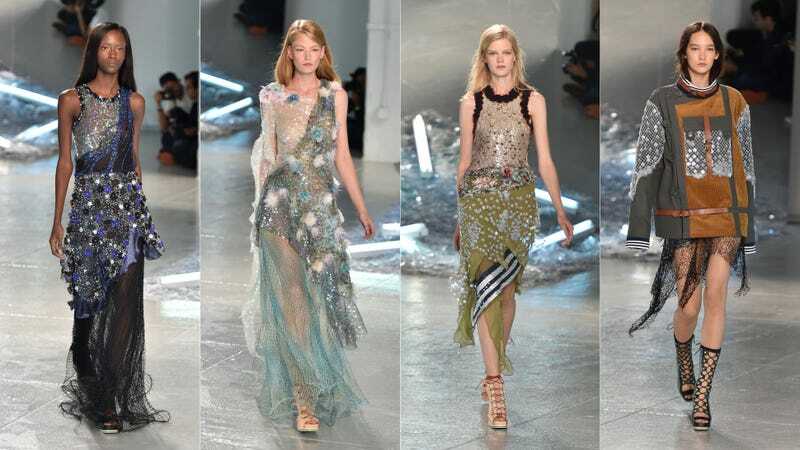 Kate and Laura Mulleavy, the designers/sisters behind Rodarte, brought their strongest collage game for their 2015 spring collection, interlaying multiple textures in each of their looks. So don't worry, there's net, beadwork, sequins, frills, but most importantly chiffon for everyone. The stripe motif added a little athletic flair to the otherwise ethereal designs.